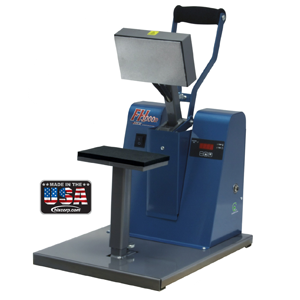 Hix Hobby- Lite SWINGAWAY PRESSES | PKA Associates, Inc.
PKA Associates, Inc. Serving the screen printing industry! From hobbyists to small production runs, the HIX line of Swing Away Heat Transfer Machines continue to lead the industry. 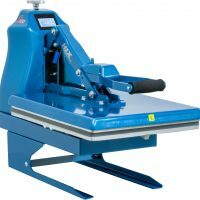 HIX Swing Away Presses are ideal for sublimation transfers to items up to 1-3/4” thick depending on the model of press. Presses range in size from the introductory hobby lite – perfect for the occasional transfer to the large format SwingMan-25 – great on large tile murals. 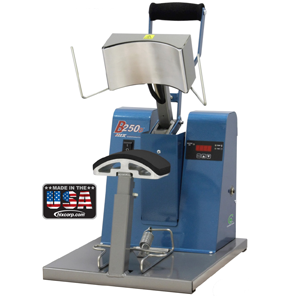 Swing Away Presses are designed for transfers to t-shirts, tiles, plaques, licence plates, mouse pads and more. 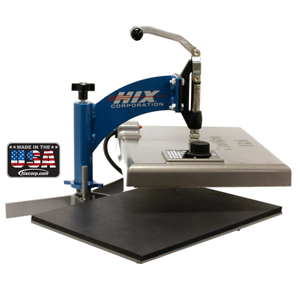 Be the first to review “Hix Hobby- Lite SWINGAWAY PRESSES” Click here to cancel reply. PKA Associates offers a wide variety of prepress products and supplies for the Silkscreen and Flexo market. We carry Exile Technology's complete line of dry film thermal Imagesetters and their new line of Direct to Screen systems. PKA Associates is one of the largest distributors of Inkspot Inkjet film, Laser film, Exile Technology Thermal Film. We also distribute inkjet film positive printing systems, a variety of Inkjet Inks for film positive printing and the “All Black Ink” cartridges for optimal printer use. Welcome to the PKA Store. To keep a record of your orders, please create an account. You can also select from 3 different types of UPS shipping. Orders must be submitted by 2PM Pacific time in order to be processed the same day. If you need an urgent shipment, please contact us directly at 714-279-0901. PKA Associates, Inc. © 2019. All Rights Reserved.